Heyerdahlite: Mineral information, data and localities. 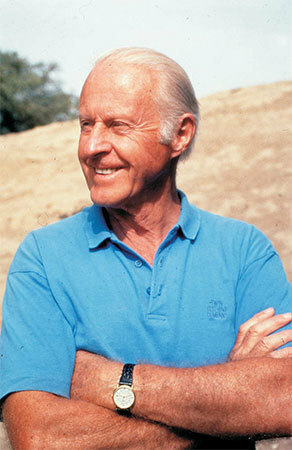 Named after the Norwegian adventurer and ethnographer Thor Heyerdal (October 6, 1914, Larvik, Norway – April 18, 2002, Colla Micheri, Italy) notable for his Kon-Tiki expeditions in 1947 and his Ra expeditions in 1969 and 1970, on the papyrus ships Ra I and Ra II. The mineral raite was named after the international group of scientists on the later voyage. 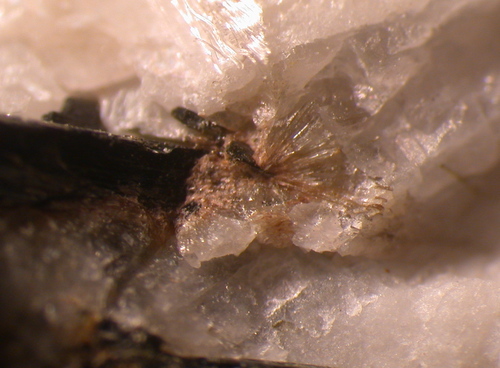 Compare, e.g., intersilite, janhaugite, and normandite. Type material is deposited in the mineralogical collections of the Royal Ontario Museum,Toronto, Ontario, Canada, accession number M57516. 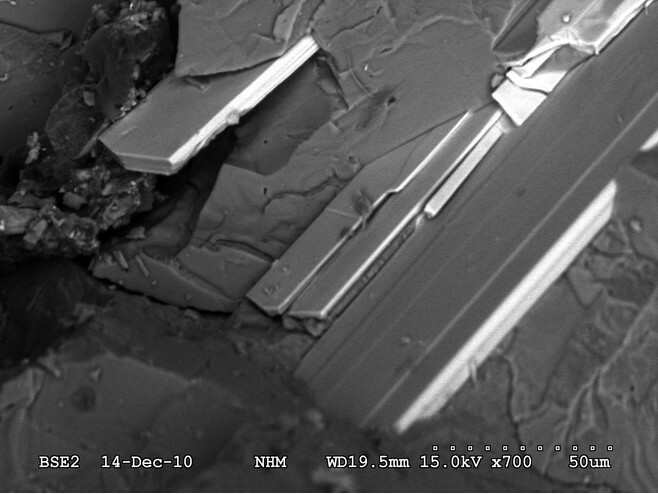 Sokolova, E., Day, M.C., Hawthorne, F.C., Kristiansen, R. (2018) Heyerdahlite, Na3Mn7Ti2(Si4O12)2O2(OH)4F(H2O)2, a new mineral of the astrophyllite supergroup from the Larvik Plutonic complex, Norway: Description and crystal structure. 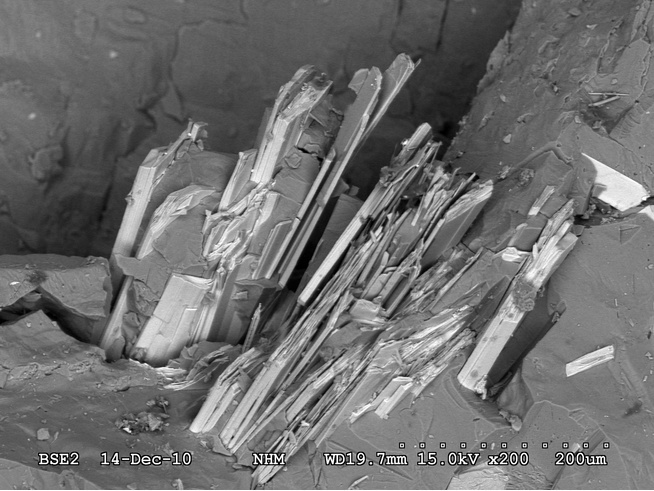 Mineralogical Magazine: 82: 243-255. Sokolova, E., Day, M.C., Hawthorne, F.C. and Kristiansen, R. (2017) Heyerdahlite, IMA 2016-108. CNMNC Newsletter No. 36, April 2017, page 407; Mineralogical Magazine: 81: 403–409.